He studied at the Department of Photography, School of Graphic Arts and Art Studies, Technological Educational Institute (T.E.I.) of Athens and graduated in 1994. He lives and works in Athens, in the field of Architectural and Advertising Photography. His pictures have been published in all the recognized repute Greek architectural magazines and in special publications on architecture. He has presented lectures on Architectural Photography at the University of Patra - Department of Architecture and has taught as a laboratorial collaborator at the Department of Photography, T.E.I. of Athens. 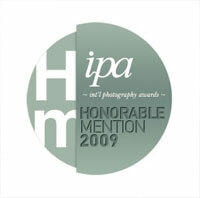 His photography has been awarded in panhellenic and international competitions.